Why pay $250 to $350 a year for half as much local news? 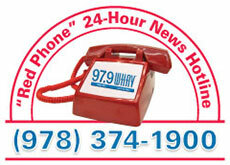 On air and online 97.9 WHAV provides more Greater Haverhill news, more often than all other sources combined. Support the only Haverhill-based news source with your tax-deductible Local News Membership. Looking for the monthly budget option, click here instead.